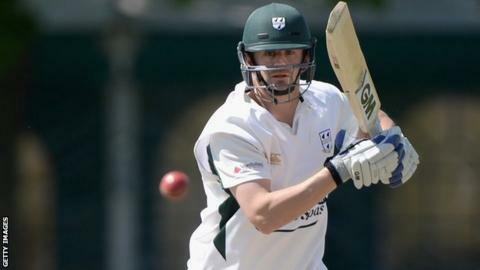 Worcestershire batsman Alex Gidman has been forced to retire from cricket at the age of 34, because of injury. The former Gloucestershire captain fractured his left index finger during fielding practice prior to Worcestershire's game against Durham at Chester-le-Street last September. It was expected that the injury would heal without any need for an operation. A later x-ray revealed slight damage to the cartilage in the joint, forcing him to undergo delayed surgery in December. But the finger failed to respond to the insertion of a plastic joint replacement and, following consultation with a specialist, Gidman has been forced to retire, with a year remaining on the two-year contract he signed when he arrived at New Road from Gloucestershire in September 2014. "It is with great sadness that I have no choice but to retire from the sport that has given me so much," said Gidman, who made 11,622 first-class runs, as well as nearly 6,000 in limited-over cricket. "I have been really lucky to have played for so long and I have so many great memories. Obviously my many years with Gloucestershire included the majority of my success but I've really enjoyed the last 18 months, meeting some fantastic people at Worcester." Worcestershire director of cricket Steve Rhodes added: "It's a very sad day. We're extremely disappointed for Alex. It was a freak injury." High Wycombe-born Alex Gidman made the vast majority (187) of his 204 first-class appearances with Gloucestershire, with whom he spent 13 seasons. He played in both their two successive Cheltenham & Gloucester Trophy Lord's final victories (both over Worcestershire) in 2003 and 2004. He was Gloucestershire captain from 2009 to 2012, which was also his benefit year. But he struggled when he came to New Road last season, making just 440 runs in 13 games at 24.44.